Your arguments have been put in a logical manner and are coherent. The fact they come from a medical professional give credence to the fact that the esteemed doctors gave statements that were flawed , possibly due to wrong information being fed to them by the qutbis, or due to some other sinister motive. We are all witness to Maula r a ‘s actions after the aforementioned stroke and are firm believers of his spiritual power that even world leaders have acknowledged. KQ’s denial even after living in such close proximity with Maula tus shows his delusional state of mind. subhan allah, very well written. Khuzema Qutbuddin is NO leader! Khuzema is NO leader. He had more people years back but he lost them gradually. He has no qualifications of a leader. None, whatsoever. If he was a leader he would have maintained himself as a Maazun and been with Syedna Burhanuddin RA all the way thru till the end but he didn’t or just couldn’t. That’s the proof enough that he could not fulfill his duties as a right hand man. Instead, all he did was run away from Daawat and Maula and acted like a hyena. On the 19th of Rajab I like every other mumin witnessed the historical event..though Moulas words were not clear..nd we couldn’t understand what was happening..each nd every mumin that day could hear those words with their hearts and could see and understand what was taking place..it was a spiritual connection.. The more they try to defame moula..the more they r getting defamed nd insulted..their upbringing, their education, their beliefs is all a big question mark now..
Moula’s Salami photos are so refreshing.. He doesn’t look Ill or meek at all.. Sherey khuda na sher nazar awey Che.. Eh Burhanuddin moula madad karo!! Your arguments are excellent. As a student of medicine, I can give credence to the fact that universal statements about medical conditions mean nothing – the fundamental thing we are taught is that each patient is a unique individual and will present differently. Especially in matters of stroke, which presents completely differently in each and every individual – some patients make a quick and full recovery, and some retain long term disability – even if the pathophysiology of the strokes are identical. A so called ‘expert’ in neurology should be aware of this phenomenon. Secondly, witnesses and a diary from Moula RA before his stroke make for a much better argument in court than a so called ‘private nass’. Post is really very well written. These thing of them that, gathering some time illogical also materialistic ground facts, collecting unworthy evidences, pointless objections, makes really disappointed & increase hatred filings against KQ’s. They again & again treat muqaddas moula ra as a normal human being & it is sure that KQ had never felt any roohaniyat of Muqaddas moula ra although by being that much close also. How he could as well, because for this, one & only thing which is required is ‘Mohabbat’, as Imam said “Nathi deen magar Mohabbat”. & for mohabbat distance doesn’t matter. But unfortunately this thing is absent in his part. kHUZEMA QUTBUDDIN WILL SAY ANYTHING TO ARGUE BECAUSE HE DONT WANT TO BELEIVE THE FACTS…IS HE PRESENT THERE WHERE NASS WAS PERFORMED? THEN WHAT RIGHTS HE HAVE TO COMMENT OR ARGUE? I am in fact a doctor and stroke specialist at that. I work in Chicago. I have treated many patients over 90 years of age and some even 100 or greater. It is a medically established fact that strokes can start out mild and may progress to worsen over time. This first point would prove that Moula (R.A.) could have and would have pronounced the nass very clearly in the first few days after the stroke. Secondly, the drinking of sherbet is entirely possible as we are not talking about a large volume of liquid but a couple of drops of sherbet as a token of celebration. There is no risk of choking or aspiration if the volume is small. In fact small amounts of liquid are routinely given with a swab to moisten the mouth of a stroke patient. I don’t know the doctors mentioned in the article personally, but know that these guys by no means are prominent neurologists in the field of stroke. So any input by the so called ‘experts’ has to be taken with a grain of salt and a heavy dose of skepticism. Very excellently argued, whereby, we mumineenare brought closer in our binding and faith towards Moula. Indeed, Deen is nothing but Mohabbat. And if that main stimulus is absent then the entire exercise of whether you are second in rank or an adna mumineen becomes superfluous. Very well written and made my Aqeedah more strong. Really appreciate your efforts. May ALLAH give you TAUFEEQ. This website has really made my knowledge strong. reply to the wise guy, one of the reason what i think must be that” it is written believesyednaqutbuddin” bcoz syedna mufaddal tus is true Dai of Syedna Qutbuddin Shaheed RA. (Ahmedabad) another thing it is not written believesyednakhuzaima! i hope mr. wise guy you will understand above written…. This site is working like an antidote to whatever KQ and his team are spreading via every possible media. THE WRITER HAS GIVEN A CRYSTAL CLEAR MESSAGE. MAY LONG LIVE HIS HOLINESS AQA MOULA MUFADDAL SAIFUDDIN TUS. UP TILL THE DAY OF JUDGEMENT. AMEEN VALHAMDO LILLA HEA RABBIL AALAMEEN. 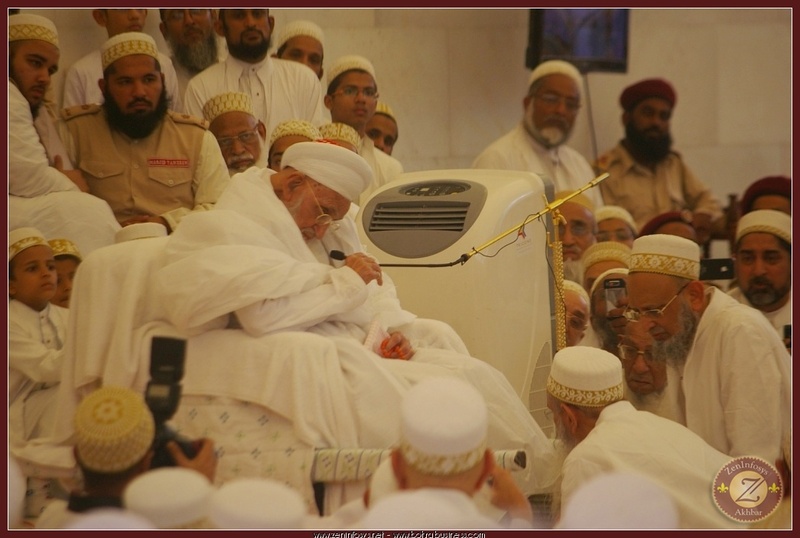 Syedna Mohammed Burhanuddin (RA) is a Dai al Mutlaq. And all mumeneen has witness His infinite ma’ajiz (miracle). There are still live instances when Syedna Mohammed Burhanuddin gave new life to dead persons, gave power of speech to dumb and cured many uncurable diseases of mumeneen with his ‘kimiyai nazar’ or from his divine power. Not only Mumeneen but eminent and specialists doctors will give testimony to this ma’ajiz(miracles). Doctors have agreed to the point that science is limited to its own boundaries. There are still many circumstances, diseases and medical complications where science is either still unaware or unknown. 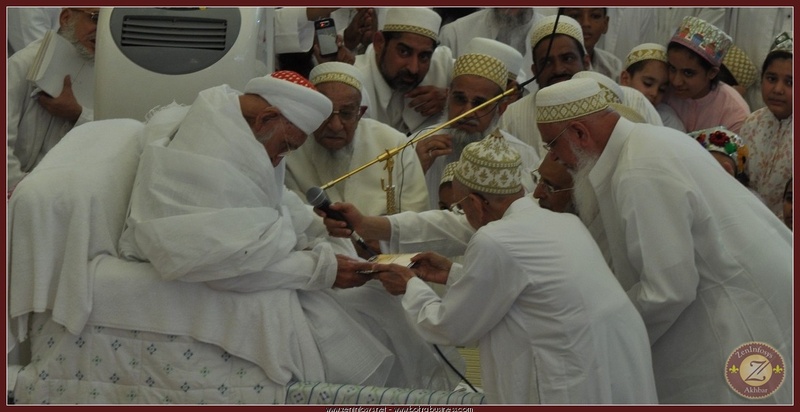 Thus, eminent unbiassed doctors and many other medical specialists and distinguished professionals give testimony to the fact that Hisholiness Dr. Syedna Mohammed Burhanuddin (RA) was not an ordinary man, but rather a charismatic and divine personality capable of doing supernatural things. He is the Dai of Almighty Allahtala, Panjetan (as) and Imam uz Zaman (as). If this very concept khuzema and his clan believed from heart, they never had thought to filed a case. This simple argument refute the claim of Khuzema and make him more despicable,disreputable and debunk the claimant awfully.